What is the best seed raising mix? Over the years I have tried different seed raising mixes mainly commercial ones they all look a little different but germination has mostly been the same. I have been using a homemade mix that has been working well for me and thought I would share it. Using this my seeds are sprouting really very quickly faster than in the commercial mixes I had been using. Peat – is coir fibre which I buy in a compressed block add water and let it expand. River sand – or sandpit sand as it is commonly known and sold by the small bag. 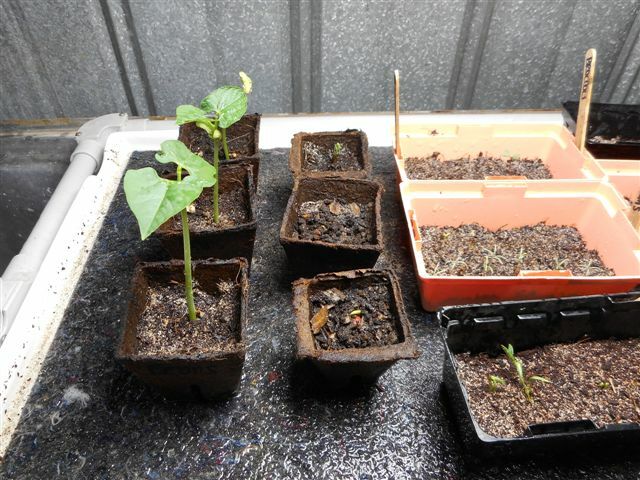 This year I am determined not to allow my seedlings to dry out so have devised a plan…. I decided to use a wicking like method so the seedlings don’t have to fully rely on me for survival. I went to my local floor covering store and bought a smallish piece of felt underlay. cut this out to sit on the bottom of my heated tray. The seed trays I use have cut outs in the side and some in the bottom so that moisture when needed is drawn up from the bottom of the felt. Make sure the felt is always moist not too wet or the seeds stay wet and wont germinate, this has happened to my spinach so I have had to re-seed. I have been checking daily and none of my trays have dried out. So far so good as they say! I will let you know if I come across any other problems with this method. Another quick share are these seed watering heads, I love them! 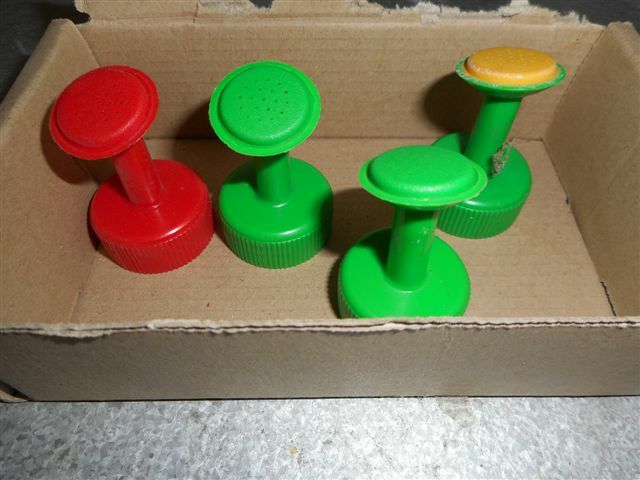 They screw to the top of an old plastic bottle. I Got them from Diggers the spray is gentle and fine and they don’t disturb the soil and blast your seeds. What seed raising mix are you using for your seeds?